Question 1 :When did "Obsidain" first appear or in what Series ?? but I can't place them so I also wanted to know if they ring any bells with somebody?? Starscream i think was sitting on the floor in a hallway looking place inside a base playing Solitaire card game and wouldn't come when Megatron put out a bulletin for everybody to assemble ? I saw both of these things before I was really a TF fan as just something that happened to have been left on the t.v. by somebody -- it was way after G1 but I had not at that time watched G1 cartoon either -- I had G1 toys but I only really got steadily interested in TF at the time of the Energon series. starry* *night wrote: Question 1 :When did "Obsidain" first appear or in what Series ?? 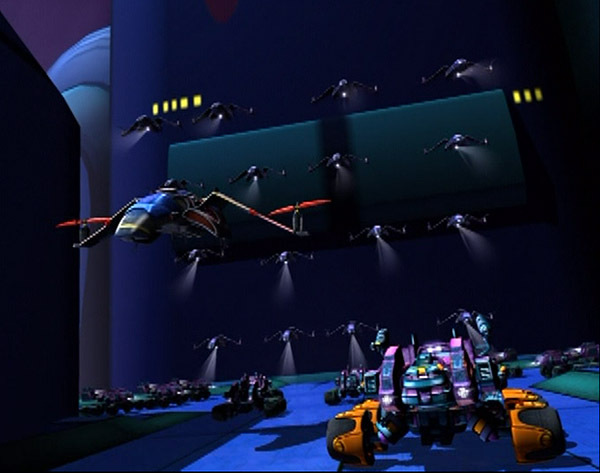 Beast Machines, episode 20 - "Sparkwar Pt. I: The Strike"
Ehh... doesn't ring any bells. starry* *night wrote: I saw both of these things before I was really a TF fan as just something that happened to have been left on the t.v. by somebody -- it was way after G1 but I had not at that time watched G1 cartoon either -- I had G1 toys but I only really got steadily interested in TF at the time of the Energon series. Can you remember any other details? and I did know the difference between TF and other robots at the time. (and wouldn't interrupt it for Megatron : ) and I didn't see any more than the first 2-3 minutes I think we left right after the Deceps assembled. On the Sharkticon one I came in in the middle and saw half the Episode but that's the only thing I remember happening. I don't know right now if he had that form until the Universe Toy so I don't know what I ever saw regarding him either. He was the one I was most curious about. Last edited by starry* *night on Wed Oct 19, 2011 11:28 pm, edited 1 time in total. ^ Well my brother does have the Universe toy which is a blue double-prop Helicopter -- Unless (since it came as a boxed set of 2) unless the other toy in the box was named Obsidian. But we got that set a couple years after I thought I first remembered seeing him. Last edited by starry* *night on Thu Oct 20, 2011 9:56 pm, edited 1 time in total. The only cartoon Obsidian was in was Beast Machines, and that was in CGI. No redeco of his toy has been used to represent any other character from any other cartoon. Here's what he looked like in vehicle mode. Since they slap older names on a wide variety of vehicles. Last edited by starry* *night on Thu Oct 20, 2011 12:55 am, edited 4 times in total. A site tracking down listing in pictures the really differing models of each individual character -- in order of production\age would be pretty darn interesting.